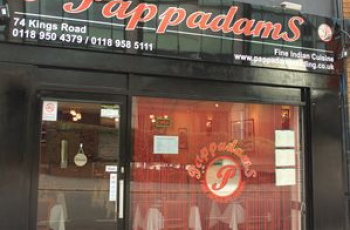 Pappadams is an aunthentic indian curry gourment, with an experience of over twenty years in the indian curry industrym. They commit themselves to introduce a fresh loom to the ‘Indian Curry’ by constantly challenging and developing tastes. From an eclectic array of dishes like Prawn Olathiyathu, Lamb hyderabadi, Chicken saagwala and Goan fish curry the menu spans across the horizons of the Indian subcontinent.